As soon as you start blogging you’ll notice different tools and services vying for your attention. And let’s not forget options like hiring a VA or paying for an accountant. It can seem like there are so many things that you can purchase that it can be very overwhelming. Even once you are convinced that you should invest in your blog, the hard part is working what to invest in. What will give you the best return on investment? 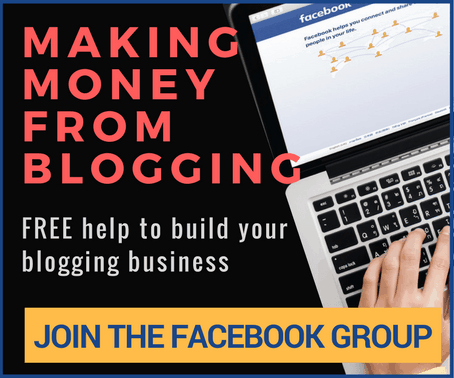 I have written this article at the request of members of the DNW Facebook group who know they should invest in their blog but are confused about what they should invest in. Below, I will walk you through the main items that are worth your money. 1. Do you need to spend money to have a successful blog? 100% yes. If you want to be successful then you have to treat your blog like a business and this is going to mean constant investment. Someone asked in the DNW Facebook group recently if anyone had had success without spending money on their blog. Guess how many people said yes? I re-invested every cent I earned from blogging before 2015, much of it in courses. To be successful you have to invest in your blog and in yourself. This means buying tools and services that will save you time and increase the professionalism of your blog and it means investing in you so that you have the skills and understand strategies to have success. The other big bonus of investing in your blog is that it does affect your mindset as well. It’s a way to show yourself that you are serious about your blog (more about mindset here). Personally, the best thing I invested in towards the beginning of my blogging journey was a niche site course. It cost me US$2000 which meant dipping into our savings that we needed to leave Australia. It’s what changed me from being good for a blogger at SEO to becoming top rate at SEO and affiliate marketing and I often wonder where I would be had I not made that big stretch. The good news is that blogging costs don’t have to cost that much – most things that can change your success cost relatively small amounts and you are unlikely to ever need to spend much money to have a top rate blog. You can read more about this in my article about the 8 biggest mistakes in blogging. Please note: Exactly what should be in each of the following categories will vary depending on what you are focusing on at different stages of your blogging journey. There are ways around both of these costs but, please, just pay the money! If you are 100% sure your blog will only be a hobby and you won’t get caught up in chasing traffic or income then you can use a service like Blogger.com or WordPress.com and have a free blog and use their domain names (meaning you will have wordpress.com and blogspot.com in your URL). The fact that you are even reading this article suggests you don’t fall into this category so bite the bullet and pay for a domain name and hosting. This is important as you need to own your site. The only way to do this is to have complete control with your own domain name and hosting. I recommend NameSilo (use code: DNW1OFF to save $1) for domain names and SiteGround for hosting. These two things currently cost $68 for a year and are essential. JUST DO IT! You can read my full guide to setting up your site here. The next thing I recommend is a paid theme. Before selling some sites and PBNs recently, I must have had about 60 sites. Many use free themes and my money making ones use paid ones. I would never ever ever use a free theme for a site I wanted to earn money from. They have limitations, they are more likely to stop working (as people stop updating them when they are not getting paid) and they just waste a lot more time as they are usually much harder to customise. Themes are generally cheap. There are many that are around $50 for life, and this is the next area I recommend investing in. I particularly love Thrive Themes and ones from My Theme Shop. I use both extensively. You should also have some type of backup plan. Imagine if you open your computer one day to find your site was gone and you didn’t have a backup! Many hosts will do this (often at an extra charge) but I recommend you also have your own offline backup just in case something ever happens to your host. We use Duplicator Pro to do this. You can find some more blogging resource recommendations here. Once you have a blog, you have set up your social media accounts, you have maybe dabbled in SEO, it’s time to get more serious. The next area to invest money is a course. A good course can give you structure and help you through the overwhelm while leading you to success much faster. There is also something about spending money on a course to help motivate you to stop procrastinating and start working. Most blogging courses are at a beginner level so if you want to move past this level, look for a course that will move with you and help push you into the advanced category. I recommend you consider joining up to Build Blog Freedom Fast Track. This course focuses on building up your traffic with SEO and monetising it will affiliate marketing to build up passive income. The next investment I highly recommend won’t surprise regular readers at all – a keyword research tool. SEO is such a powerful weapon for your blog when it comes to both traffic and income and the sooner you start, the sooner you get the rewards. I don’t know how often people say in the DNW Facebook group that they wished they had started concentrating on SEO sooner but it is all the time. There are free SEO tools but they just aren’t sufficient. You need to invest in a tool. I highly recommend KeySearch. It’s only about $12 a month with the discount code KSDISC. You can read the full review here. The next step is social media scheduling tools. These usually cost from $10-20 a month. These can save so much time. Generally, they are only going to work well once you have a strategy and have worked manually on a certain social media channel for awhile. Then you can automate some of it with a tool. Tailwind –This tool is for Pinterest scheduling. Hootsuite – I like using this for Twitter (although it can be used for other social media as well). There is a free version as well. Postcron – I have used this for Facebook and Instagram and it works for other social media as well. There is a free version but it only allows scheduling of 10 posts and does not work for Instagram. You can have a free month trial with this link. Crowdfire – Useful for following and unfollowing in Twitter and also for setting up auto-DM in Twitter. There are many other social media tools as well. You definitely should consider a paid email marketing service. This is a service which helps you collect and store your email subscribers and send out emails. MailChimp has a free version which you can work with when you are a beginner but it is very limiting and I suggest GetResponse once you are ready to get even semi serious about list building and email marketing. If email marketing is a focus then I recommend ActiveCampaign which is very powerful. You are looking at $25+ a month depending on the service and your number of subscribers. Finally, there are some very worthwhile plugins in there. If you want to focus on Amazon and affiliate marketing, I love EasyAzon. If you want to grow your email list, OptinMonster is invaluable. If you haven’t already invested in a good email marketing service and list building plugin by this point, this is when you should definitely consider OptinMonster and ActiveCampaign. Zapier is a handy tool that you can use to integrate different systems together. I currently use it to link between Teachable/Gumroad and ActiveCampaign. I also use it to put new course signups into a Google doc so I can keep track of them. It does many other things as well. I also recommend a photo subscription to keep your site looking great and good editing software if you are involved in making videos or serious about photography. This is also the point where you should consider a great camera (if you don’t have one already) and filming equipment if you do any filming or even Facebook lives. Ebay is a great place to buy cheap photography and video equipment like stands, lights and screens. You should also invest in microphones – I have ones for both my laptop and phone (for Facebook lives). If you run webinars or online training sessions, meetings, etc then invest in good webinar system. I recently moved to WebinarJam and I love it. I also recommend investing in an email system for your work email. I have been far happier since I started paying for Fastmail email accounts for each of my work email addresses instead of having it all lumped into my personal Gmail. It also makes it easier for other people to manage my email and means Google isn’t reading all my emails. At this level, you should definitely be outsourcing some work if you aren’t already which could include a virtual assistant, writer, technical support, graphic designer or “another you” (which is what I call my brother who works for me). Finally, something I invested in this year was a mentor/coach/mastermind group (it is all in one) with Jessica Nazarali. It includes entry into her courses as well which is useful but what I find most valuable is the personal advice and the support of a like minded group. By this point of my journey, I didn’t want to do a course as I wanted access to someone who was an expert in the field I want to be an expert in without wasting any time reading material which may not directly apply to me. This is a substantial investment but one that has been worth it. Of course, I am just one blogger with one set of experiences so I asked some other bloggers what they recommend investing in. These are their responses! I want to add that most people I asked had KeySearch listed followed by courses. I did not add them all above as it would have got repetitive. There are many things you can invest in with blogging and I hope this list hasn’t overwhelmed you. To work out which is the best choice for you, go through this list and work out what option will give you the best return with where you are in your blogging journey right now. For example, if you are just starting out, hosting and domain name are essential. If you are spending too much time in social media, look at scheduling tools. 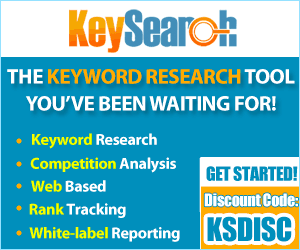 If you want to grow your traffic, look at a keyword research tool. If you are feeling lost or want to accelerate your success, consider a course. The important thing is to strongly consider investing in yourself and your business to help set your blog up for success. Many of these items go on sale from time to time. Click here to receive an email with all the special deals!